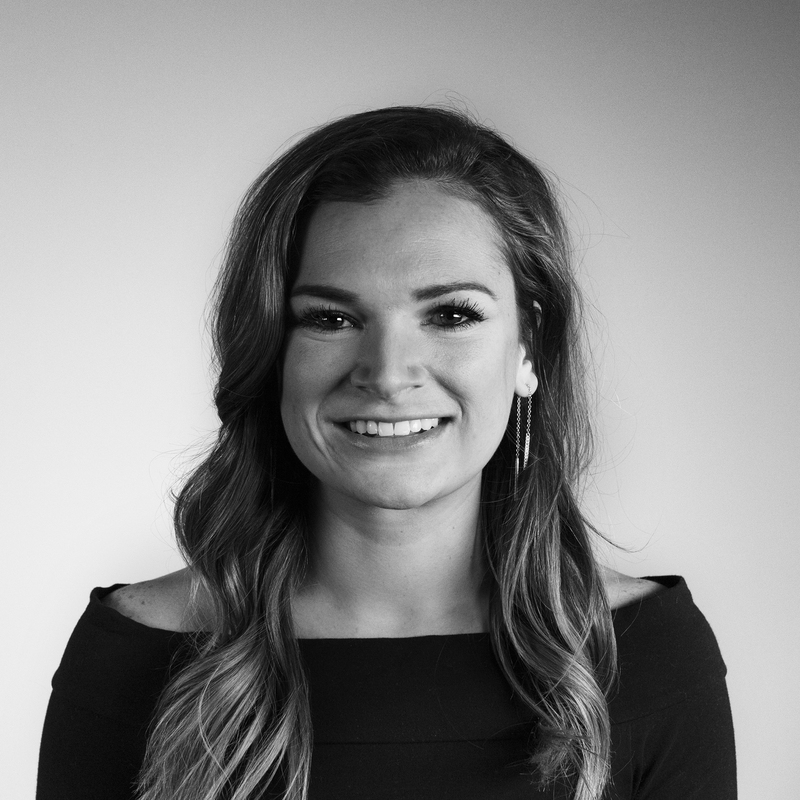 Tara Clemens is a Senior Research Analyst at Mintel. Tara specializes in insurance, publishing data-driven syndicated and custom reporting based in Mintel's consumer data, trends and competitive intelligence. The Professional Insurance Marketing Association held its annual Industry Insights Conference, where experts across insurance functions gathered to discuss a range of initiatives positioned to drive considerable growth in the industry. Key topics spanned blockchain in insurance, emerging products and markets, and social marketing to Millennials and Gen Z. As the conference went on, key themes noticeably tied back to the same driving force: the revolution in consumer behavior and consumer expectations in the digital age. Further illuminating this idea, Facebook client partners Guarav Venkateswar and Alex Luxenberg presented some particularly eye-opening statistics behind trends in digital consumer behavior. It was revealed that consumers unlock their mobile devices 100-200 times per day, spending an average of 3.5 hours per day on screen time. Not surprisingly, attention is 82% higher for consumers looking at an ad on their phone, making the channel an especially attractive opportunity for marketers. When it comes to consumers who educate themselves on new product information, 78% say they go to Facebook. During their session, Venkateswar and Luxemberg delivered four tips for leveraging social media to drive business. We tapped Mintel’s social media monitoring tool to seek out insurance brands already executing upon these ideas to better illustrate how marketers can put these tips to practice. People buy from brands they trust. Younger generations especially crave authenticity because they live in a world where they can fact-check anything. Additionally, insurers must prioritize social good and transparency in their strategies. 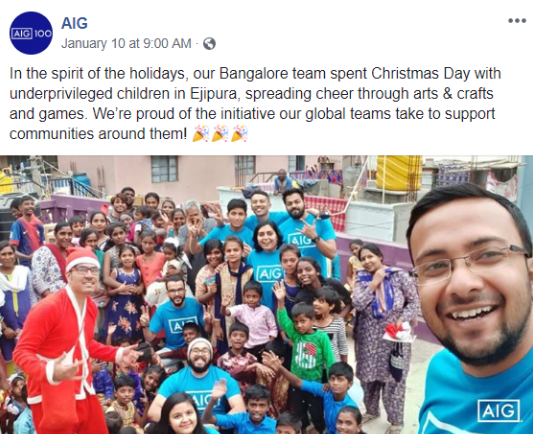 AIG highlighted the local community initiatives taken by their global team and saw significant positive social engagement from their followers in return. According to Mintel Trend, “Redefining Adulthood,” younger generations view life no longer as a ladder to be climbed, but as a climbing frame to be explored. With experiences over things being a key priority for Millennials, companies need to focus on campaigns and opportunities that focus on making life memorable. Allstate aimed to connect with older Millennials going through many life stage changes in its “Here’s to Firsts” campaign. The campaign talked about real “firsts” in a humanizing way and was ultimately nominated for a Shorty Award after drawing 35% more positive sentiment than all other Allstate social media posts. Currently, insurance marketers have the option to leverage the wealth of data and advanced targeting capabilities to ensure the right message gets in front of the right consumer, at the right time. Affinity partnerships have long been a cornerstone of targeted insurance acquisition efforts, especially within direct mail. 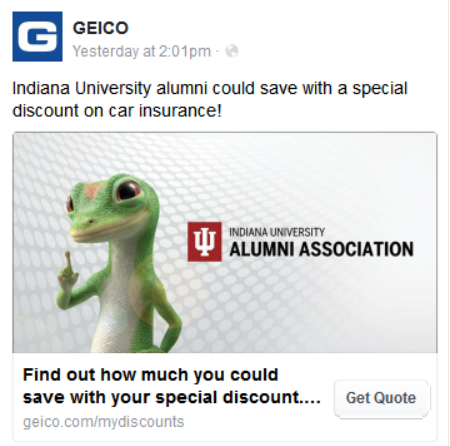 GEICO saw the opportunity to extend these messages into addressable paid social targeting, where discounts targeted an extensive number of affinity partner organizations. Travelers exemplified the reality of distracted driving with an emotional video told by the parents of a young victim of distracted driving. “We honor Phil by bringing his unfinished story to life through imagining what could have been,” explained the insurer. Will this post tell a story that is impactful and drives trust with our audience? Is this relevant to our target demographic? Is this relevant to the modern world? Insurers should also remember to not count out the impact a video can have on engagement. Insurance Marketing Trends 2018: How'd we do?